We are a family owned, independent, veterinary group that has been helping local pets since 2009. Over the years, with the help of clients who have become friends, their pets and loyal staff we have steadily grown by simply keeping true to our core values. We provide quality veterinary care in a relaxed environment with an understandable, open and affordable pricing structure. As pet owners ourselves we respect that special bond that develops between people and their pets. We also know when help is needed how important it is to get that right for you. 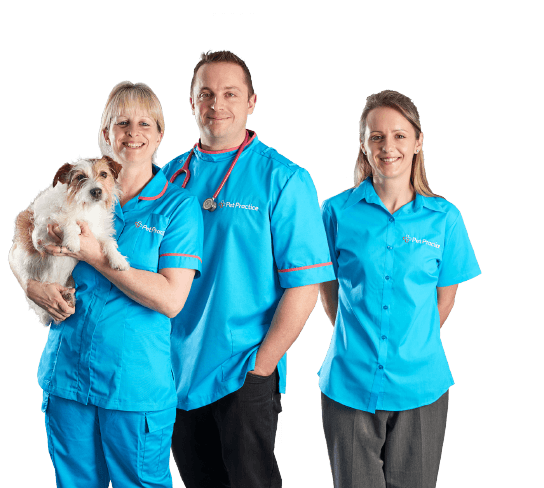 All our veterinary surgeons are experienced and specialise in companion animals. This means in an ever developing and growing field we can be up to speed on the latest for your pet. We encourage ongoing training for our staff and feel privileged to work in a career that is advancing all the time. All of our practices are purpose built for the task which means we could put our fresh approach on the design. You will find them spacious, clean and modern. Their prominent positions means they are easily located and on site parking helps simplify your journey. Being newly constructed they contain everything a modern practice should. They have hygienic and safe hospitalisation kennels, dedicated theatres, on site laboratories as well as diagnostic facilities including digital radiography and ultrasonography. I hope this has given you a feel for who we are and we look forward to welcoming you at Pet Practice.